A new report has found that mobile device charging generates a surprising amount of greenhouse gases. 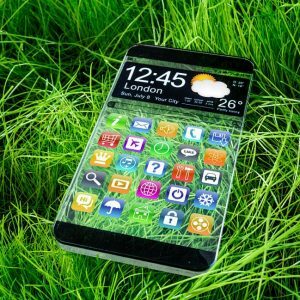 A recent Juniper Research report discovered that when it comes to renewable energy and sustainable habits, consumer awareness is low in mobile markets and that by 2019, charging mobile gadgets will produce over 13 megatons CO2e of greenhouse gasses every year, worldwide, and that this year, 6.4 megatons is expected. The 2019 emissions are equal to the yearly emissions generated from 1.1 million cars. Almost 50 percent of the emissions produced by 2019 will come from Asian electricity grids that are powered by coal. According to the Juniper report, it is up to vendors to make energy companies provide the mobile industry and consumers with green power. The report, entitled “Green Mobile: The Complete Guide to Vendor Strategies & Future Prospects 2014-2019”, also mentioned that in cases where ICT (information and communication technologies) companies are adamant about renewable energy from their electricity grids, energy firms have made the offer to spread out renewable supply to other customers. The report claims that if the adoption of this approach became more widespread, it could help to reduce supplier emissions within the mobile industry. By making certain components of mobile devices and by developing apps that are more energy efficient, businesses can have a stronger direct impact on the emissions of mobile users. For instance, prolonging battery life would benefit both the user and the environment. Renewable energy conscious suppliers could notably reduce supply chain emissions by 2019. Based on the information from the study, supply chain emissions continue to be a major problem for the industry. If suppliers had the incentive to make changes now, by 2019 it could be possible for the industry to save 57.8 megatons in greenhouse gas emissions. In addition, the report notes that the design of a phone has a significant impact on how well it can be recycled. Some design features can make the recycling of a device too costly. To combat the ever growing e-waste problem, vendors need to start planning on what will happen to their devices when they run out of life.